Whenever you talk about Japanese animated films, Studio Ghibli is inevitably mentioned. Their best movies all appeal to their audience’s sense of childlike wonder, with characters undertaking fantastical adventures in strange lands. To be honest, while I have enjoyed their productions, I’ve never really understood the level of devotion their fans show. 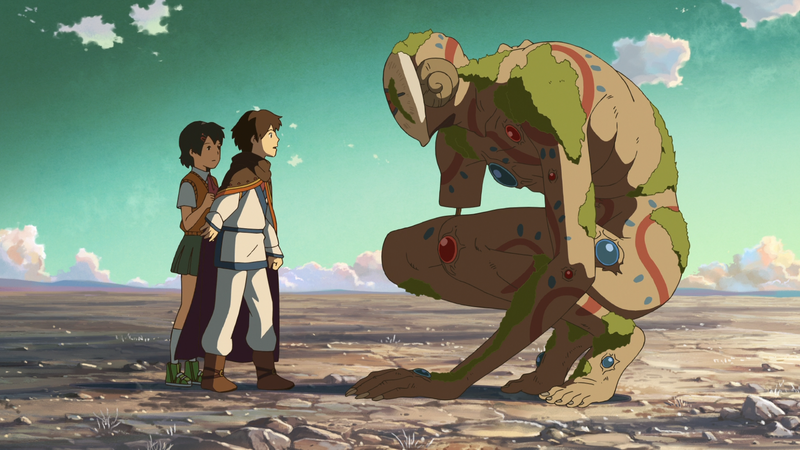 The reason I bring this up is because I feel like Ghibli movies comprise a genre of their own, where viewers are drawn into the screen in front of them not by expert characterisation, not by gripping plot and not by thrilling action, but by the overall feeling of the story unfolding before them. If we start from that premise, I hope I can convey why I think Hoshi wo Ou Kodomo does Ghibli better than Ghibli itself. With her mother working long hours at the hospital, Asuna lives a very solitary existence. Her favourite pastime is hiking up to her clubhouse in the mountains, where she toys around with a crystal-based radio left to her by her deceased father. During one such trip she is threatened by a savage, bear-like creature, and subsequently saved by a mysterious young man by the name of Shun. 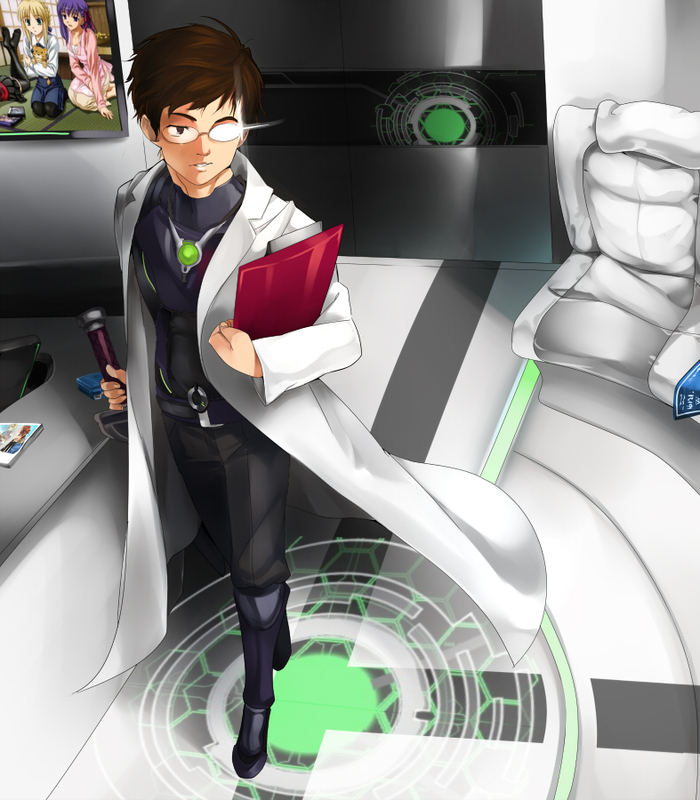 He tells Asuna that he comes from the underground world of Agartha, a land very different to her own. When she seeks more information, she discovers that her teacher, Mr Morisaki, is searching for that very same place in order to resurrect his late wife. Unexpectedly, Shun is found dead a few days later, and both Asuna and her teacher are dragged into Agartha by the events that follow. Lost, amazed and with a purpose, the two set out to explore the world below. I believe that anime, and other media, should be rated according to what they try to accomplish. With that in mind, Hoshi wo Ou Kodomo is practically flawless. While it doesn’t do anything new, per-se, what it does do is what Ghibli aims for, only better. New, wondrous environments and creatures, fantastic panoramas and meaningful themes abound in place of regular story and character development. That doesn’t mean that those features aren’t enjoyable however, as the events on screen are always interesting and the characters themselves are real enough that they manage to invoke the right emotions at all the right moments. It does mean, however, that Hoshi wo Ou Kodomo is very much an animated movie meant for short-term enjoyment. It’s not the kind of production that generates hordes of adoring fans because the lasting attachment you can make with it is very limited. Nevertheless, it is enchanting while it lasts. One of the things I noticed while watching was that there was a lot of material that wasn’t used to its full potential (mostly because of the time constraints of the movie format). All of the encounters the characters have with various creatures, cultures and people could easily be extended into a very enjoyable anime series. 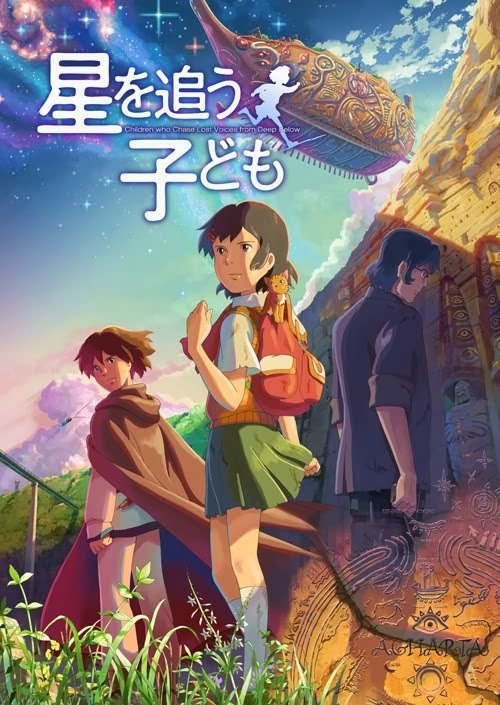 That’s not quite something I can mark a film on, however, so I’ll use this time to point out that you get a lot of bang for your buck (time-wise) with Hoshi wo Ou Kodomo. There’s the idea of the underground realm’s general decline, its previous importance in the growth of humanity, the natives’ reactions to outsiders, the outside organizations attempting to invade and so much more that I can’t list, and yet none of the scenes feel rushed. You get a taste of each of those issues before moving on, which is both a good thing for variety’s sake but also a disappointment because of what could have been. My one real complaint in terms of story is that the climax could have been drawn out for better effect. 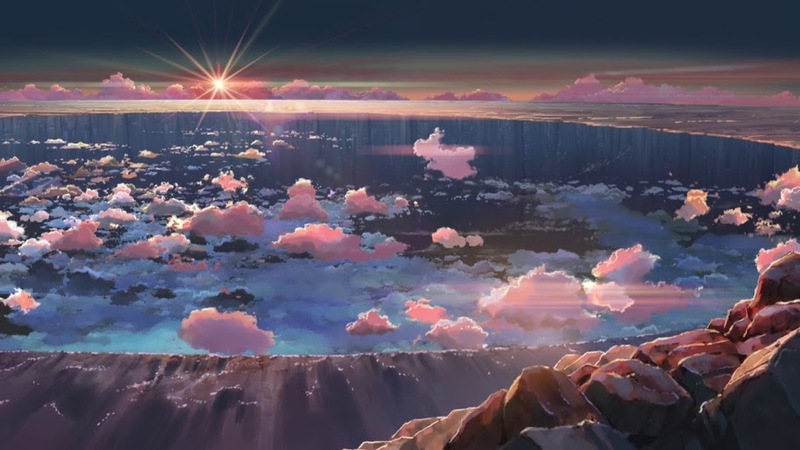 Animated by the same studio as 5 Centimetres Per Second and The Garden of Words, Hoshi wo Ou Kodomo looks absolutely gorgeous. From visual design to actual animation, it’s an experience in optical rapture from start to finish which is another one of the edges it has over Ghibli films. The environments especially do a fantastic job of cultivating that atmosphere of childlike wonder I mentioned at the very start of the review, though some portions aren’t quite as innocent as similar productions. Hoshi wo Ou Kodomo isn’t afraid to use blood, allowing it to give scenes the kind of weight other similar movies simply can’t. Soundtrack-wise, Hoshi wo Ou Kodomo hits all the right notes (yeah, that hurt me too). The BGM backs up the visuals beautifully to cement the mood of whichever scene they feature in very well without being tracks that I would listen to outside of the movies. Finally, the voice acting is as good as usual for animated films. Summary – Hoshi wo Ou Kodomo is a movie that does Ghibli better than Ghibli itself. It belongs to that genre that captures your attention and submerges you in wonderment with its fantastical environments and animation that back up a story with a multitude of interesting facets. While not every issue that’s presented is explored, that’s okay because the film doesn’t aim to explore them and instead offers them up for your consideration before moving on to the next bright, shining gem of interest. It doesn’t try to be exciting, it doesn’t try to be overly dramatic and it doesn’t try to be action-packed, but it accomplishes everything it does try to be, which is wonderful. This entry was posted in Anime Reviews, Reviews and tagged Anime, children who chase lost voices, CoMix Wave Films, from deep below, hoshi wo ou kodomo, Movie, Review. Bookmark the permalink. Wow, I know what I’ll be watching next. Still, I hadn’t really taken you for a fan of this type of movie so i’m surprised you seem so keen. As silly as this sounds, I take pride in the fact that I’ve watched everything you’ve rated over at least an 8.5. I was about to say 8 but then I saw some of the things you gave an 8 to *shiver*. I’m not ashamed to admit that made me laugh. 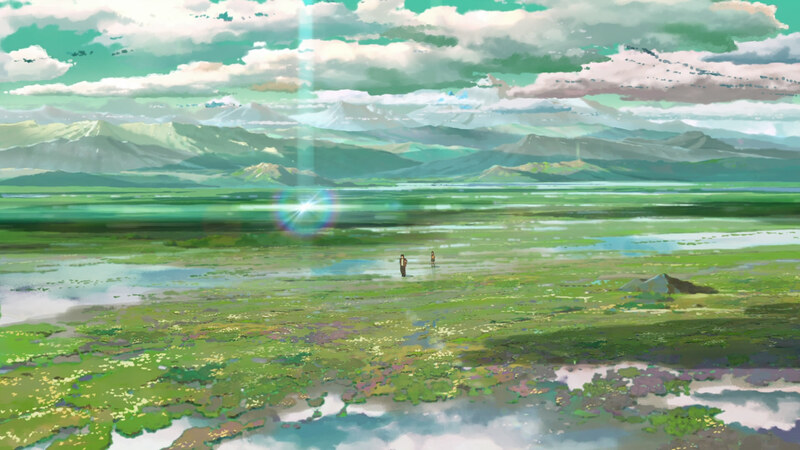 Makoto Shinkai’s stuff is excellent – Hoshi wa ou Kodomo is definitely something I’m going to watch eventually. Have you tried Shinkai’s Byousoku 5 Centimeter, and Kotonoha no Niwa? They were both excellent – it’s incredible how much Shinkai can make you care about his characters so much, so quickly. The first sequence of Byousoku is some unparalleled stuff – if you’ve not watched it, you really should. I’ve seen both of those films and of the two i’d say I preferred Kotonoha no Niwa. It’s been a long time since i’ve seen Byousoku but at the time I remember feeling a little underwhelmed by the end of it. The visuals were great and I could feel the emotion it portrayed, but I didn’t feel any connection to the characters or the story itself (which is always the risk with atmospheric storytelling). Kotonoha did something a little different and that was enough to pull me in harder. More character interaction meant more surface on which to anchor yourself to the individuals that were followed. I’m dredging those opinion up from the depths of my memory, though, so both films probably deserve a rewatch from me. I agree that Kotonoha no Niwa was more solid throughout, while Byousoku, though brilliant for the first part, faded away, and never truly leveraged the emotions it could evoke, to fully bring out the theme it wanted to discuss – loneliness and separation. Isn’t your placement is starting soon? Do you feel ready? Not next week but the week after, i’ll be doing rural general practice work in what’s pretty much a resort town XD So lots of skiing injuries, i’d wager. Still, 4gb of internet for 5 weeks isn’t ideal, so i’ll be staying away from most internet activities. The blog will be on hiatus over that period. Be ready to post a 10k word review of SubaHibi. Have you had any luck progressing with Hakomari? Volume 7 has come out, and the translation is progressing at an amazing pace – from about 10% last Thursday to 60% today. If VNs were translated at even a fraction of this pace, we might even regret learning Japanese. Watched it, felt like Mokoto Shinkai decided to do a classic Gibli film. Was pretty good, odd that I’d watched every other Mokoto Shinkai film and didn’t know about this one. Nice, seems like the type of fantasy-setting movie I would enjoy watching depending on my mood. I enjoy watching Makoto Shinkai films even if sometimes the themes in his movies are kinda repetitive (excluding this one since I haven’t watch it). Also, trains. Makoto Shinkai loves his trains.